When people see the AK-47 and the StG-44 side by side an know nothing about their internal mechanisms, the nearly universal assumption is that one is a copy of the other. The overall layout of the two rifles is strikingly similar, and one would reasonably make the assumption that Kalashnikov got his hands on a captured StG and simply rebuilt it in 7.62×39. This is, of course, not true. When presenting the same pair of rifles to a person who has a basic understanding of how they operate, you get a different reaction. They look similar because form follows function, and since one has a tilting bolt and the other has a rotating bolt they are actually unrelated. In some cases, you will get the counterclaim that if Kalashnikov copied anything, it was an American M1 Garand. This is also not quite an accurate claim. So the question is, what is the true relationship between the AK and the StG? Information on the question is held pretty close to the chest in Russia, so most of what I’m suggesting here is speculation…but I think the circumstantial evidence paints a pretty clear picture. Let us first recognize that when the AK was being developed, the Great Patriotic War was only just won. Conditions on the Eastern front where the USSR and Germany had been fighting were horrific on a scale not remotely matched by the Western front of France and Italy. It would have been politically unthinkable for the government to publicly acknowledge the superiority of pretty much anything German. It is only in recent years that Kalashnikov has finally acknowledged receiving even the slightest assistance from German engineers (Schmeisser, specifically). However, we know for a fact that at least four important small arms designers were brought into Russia after the war to work, having been given offers they couldn’t refuse (the US, UK, and France did the same thing to any important Germans they could get their hands on, of course). These four men were Schmeisser (primary designer of the MP-28 and StG-44), Horn (working on a simplified assault rifle at the end of the war), Barnitzke (designer at Gustloff, responsible for the VG1-5), and one of Barnitzke’s assistants. Schmeisser never spoke about what he did in Russia (and died in 1953), but Barnitzke did talk a little after returning home to Germany. He would not say what he did, but reported that his office from the Gustloff plant was moved whole to Russia and reassembled in perfect detail, right down to the placement of his pencils on his desk. Only the view out his window was different. So what did these German small arms designers actually do for the USSR? They must have been put to work in the fields of specialty; anything else would be too wasteful even for Stalin to consider. And yet the only small arms development that took place at the time was the AK. The AK was the winning choice form a competitive field of several assault rifle designs, and so the Germans may well have been assigned to helping with some of the other designs initially. Once the winning rifle became clear, though, they would have been put to work on it. One area of specialty where the Germans were far ahead of Russian engineers was complex metal stamping. Virtually all the late-war German small arms designs were primarily constructed of stampings, and complex ones to boot. Look at the details in the stamped receiver of an StG-44 (or MkB-42), and compare them to the very simple parts that comprised the PPS-43 submachine gun. The AK would not require as much detail as the German guns, but it would require more expertise that the Soviets had on hand. And this is where I propose that the legacy of the StG-44 had its impact on the AK. Not in initial design (which Kalashnikov has said was heavily influenced by the M1 Garand’s trigger mechanism and rotating bolt), but in its refinement and manufacturing. If we look at the change between Sergeant Kalashnikov’s initial 1946 experimental model (which did well enough to win the selection contest) and the first production version of the AK-47, we see the influence of German experience. The receiver design changed significantly between these two, but look closer at some of the other details. The early gun had a separate gas piston, and a smooth gas tube, while the production design used a piston integral to the carrier and a ribbed gas tube for a better strength:weigh ratio. Both of these are features from the StG, and were definite improvements. I don’t have any knowledge of how the trunnion or barrel extension of the 1946 gun was fitted to the receiver, but by the first production models it had changed, and was very similar to the StG. AKM and StG-44 trunnions – both use pressed-and-pinned barrels, and both are nested inside a stamped sheet receiver. The StG is held in place by the receiver being pressed into grooves, while the AK is riveted into the receiver (a better solution). AKM and StG-44 gas tubes – both use pressed-in ribs for strength and both are detachable parts. AKM and StG-44 gas pistons – both are integral to the bolt carrier, have a fixed charging handle, and are mounted above the barrel. I’m using AKM parts in these photos because I don’t have Type I AK parts on hand to photograph – but with the exception of a cosmetically-different trunnion on the Type I AK, they are basically identical. The German assistance resulted in improvements like these, and I expect with a lot of the factory tooling design needed to put the gun into mass production. There were still problems getting the process going, as the initial stamped receiver design ended up being difficult for the factories to get right, and had a very high scrap percentage. For this reason production was changed to a milled receiver in 1949 until the stamping difficulties were finally resolved and stamped production restarted in 1959. By that time, the USSR had finally developed its own native stamping expertise, as show by the followup PK machine gun design, using a stamped receiver significantly more complex than the AK. I’m sure there are some folks reading this who have more detailed knowledge of the AK development process than I do, and I would be open to corrections of anything I have gotten wrong. It’s Like Christmas in December! and of the course the AK folding stock is a straight copy of the MP40 stock – whether that would need a German engineer to copy is a moot point ! One of the factors in the problems they had with the original stamped receiver may have been the type of steel being used. Having the right type of steel, in quantity, and with consistent characteristics would be crucial for success. If the steel was “wrong”, they would have had problems with cracking, wrinkles, “spring back”, etc. Advanced stamping was a relatively new technology at the time, and large scale demand for it was largely driven by the automotive and appliance industries. Since those industries were consumer product oriented it’s quite possible that Soviet steel mills had little experience in that area. You also need to add to that the fact that a lot of the traditional coal and steel areas were overrun and damaged in the war. I was in the automotive industry at the time when the Japanese auto makers were displacing the Americans. The Japanese auto makers used their own steel, even for parts produced outside Japan by local stamping shops. The difference the steel (and their superior zinc coating techniques) made in the resulting stampings (and resistance welding) was phenomenal. A lot of stamping and welding problems which parts suppliers had struggled with for years simply disappeared. Costs went down and quality went up because you weren’t constantly struggling to get an acceptable product out the door. It is true that part design can also play a role in avoiding some problems. The type of operations you use, the order in which they occur, and the number of stages all make a difference. Unless you have experience in the field, it’s all pretty much a black art. Advanced stampings were an area that traditional gun makers had little experience in at the time. The fact that the Russians recognized the importance of advanced manufacturing techniques and embraced them enthusiastically shows they were very forward looking for their time. Most western gun makers on the other hand stuck with traditional technologies for many years after the AK appeared. It is also notable that within the design and production run, the AK-47 started out with a stamped receiver, then went to a milled receiver, and then back to stamped in the AKM, primarily due to the Russians realizing that they had not figured out how to properly stamp an AK receiver yet. By the time the AKM was adopted, they had the experience and technology in order to pull it off on a wide scale. I think there may also be a basic economic problem at play – a problem inherent in the Soviet system. I’m drawing on the production theory of Austrian Economist, Eugen von Bohm-Barwerke (and improved by Rothbard)for this. In stead of directly milling the part, separate presses are required, as are the (milled) dies and other press tooling. This requires investment of saved capital – something which the Soviet (and the national socialist) centrally planned economies were pretty much incapable of accumulating at any time – least of all, straight after such a destructive war. I don’t doubt that there were problems with the metallurgy and actually learning the process (the Soviet system suffered greatly from the “knowledge” and coordination problems too), but I’m willing to bet that the Soviets just could not afford to tool up sufficiently to support stamped construction at that time. By 1949, they’d have had an opportunity to divert (steal) resources from other activities, into tooling up to the required level to support production. Such robbing of peter to make paul, hastened along the process of capital consumption which eventually lead to the collapse of the Soviet system in chaos and poverty. A really interesting and intriguing insight into one of the many intricacies behind the science of metal-stamping and its associated technologies. The next question is how much was taken from the FG-42 to create the M60, PKM, and the FN M249. I guest what I’m saying is that they all have the piston running under the barrel like the M1. I just love this kind of stuff, for example, Trey Knight of KAC stated that their AR folding rear sight was based on the rear sight of the FG-42. I haven’t seen them myself, but I am told that the Marine Corps Museum (or possibly Springfield, I don’t recall which) has a whole series of M60 prototypes showing the development starting with a roughly modified FG42. Might be Springfield. The M60 was indeed an attempt to make an FG42 with the belt feed of the MG42, but they were apparently unaware that the FG42 owed a lot to the Lewis gun. The M60 too had a lot of production and durability problems due to the stamped receiver. The receivers elongate with fatigue and bad things start happening. The Russians imported entire truck factories and reams of machine tools, and the expertise to set them up in production, between the wars. I once worked for a machine tool company that had shiped hundreds of machine heads and precision grinding machines to the USSR. One day oit of the blue we got a letter in Russian. Some guy in a factory was praising one of our #2 grinding machines, which had been displaced from its original factory to the Urals and then back to a new factory in, IIRC, the Murmansk area. He said that the machine was quite a celebrity in his plant and thanked us for making a good machine. The factory had since been sold but there were sons of several of the original workers who had built that machine, and I was able to find the original inventory card showing it consigned to Togliattistadt, IIRC, in 1934 or so. Those archives (and all those guys’ jobs) were gone a few years later. Anyway, while I only knew the machine tool end of things, it stands to reason that the USSR imported stamping facilities too. But there’s a vast gulf between the stampings you need to make a Ford AA truck (one of the lines they bought), where anything within 1/4″ can be beaten to fit, and the precision stampings needed to make a firearm. That’s a unique and wonderful piece of inside information that helps flesh out the lesser-known facts of history. Thanks, Kevin! My grandfather mined gold in the Urals with a 1932 American dredger. US industrial aid to the USSR in the 1930s was absolutely massive. There are a few Russian blogs dedicated to the subject. Their inescapable conclusion is that it indeed was aid, and not simple trade. For whilst the USSR used every ounce of economic surplus to import industrial supplies, it got far more from the US than it paid for. (The stories about conniving commies tricking Depression-era “starving capitalists” like Henry Ford into building factories for them, and then not paying, are fairy tales.) IOW, the real Lend Lease happened in the 1930s. Interestingly the M60 receivers were among the most durable during the M240 trials. They all lasted more than 100.000 rounds. Whereas the MAG58 receivers showed fatigue after 70.000 rounds (breaking rivets) and were unserviceable after 90.000 rounds. How did DNA from a Remington model 8 find its way in there? No idea. But it could be coincidence – the idea of a safety lever covering an opening in the gun doesn’t require a Browning-level genius to think of. The AK lever does even more. I noticed that a lot of weapons cycle during the crossing of an obstacle course. 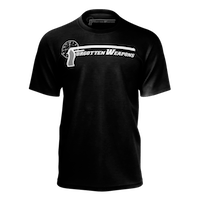 The rifleman jumps from a greater height, hits the ground hard and the gun cycles and chambers a cartridge due to inerta. The AK lever prevents that. The dual-hook trigger mechanism also borrows from the Remington Model 8 rifle and Model 11 shotgun. Early Model 11 had a sliding safety inside the triggerguard. I wonder if this inspired John Garand in any fashion. Did everyone forgottened thats Hugo Schmeiser helped young Kalashnikov to succeded with his design and as you see early prototype AK46 what is it tells you?? AK46 is rough copy of STG44.. I suspect there was the same attitude towards German firearms specialists. For some reason I am having issues with the photos you are posting. Firefox and chrome, 2 different providers at 2 different locations. and computers. An excellent and insightful analysis, Ian. All too often, even the experts tend to forget about the real exigencies and challenges that belie the actual production of a weapon to fulfill all the end-user requirements demanded of it. The role played by industrial manufacturing technology is absolutely crucial to the large-scale success or failure of a weapon system, and history is rife with supreme examples of this. On another note, the comment that many, if not most, people tend to assume that one weapon is a copy of another based on similar external appearances is very true. A modern case in point is the Czechoslovakian vz.58 assault rifle. It bears a more than superficial resemblance to the AK-47 / AKM, and to this day you will find many gun owners on assorted forums ( including YouTube ) who assume with all deep-rooted sincerity that the former is actually a modified ( and superior ) copy of the latter. The reality, of course, is that the vz.58 is a completely different gun compared to the AK-47 / AKM, one of the more prominent mechanical ones being that it utilizes a tilting-bolt locking system ( similar to the StG 44 and FN-FAL ) versus the AK’s rotating-bolt system. Another example is that of the AR-18/AR-180 5.56mm rifle vis-a-vis the AR-15/M-16 series. While both use a multi-lug gas-operated rotating bolt system and share a common design ancestry ( specifically, the fertile ideas of one James Sullivan and company ), the AR-18/AR-180 is a very different ( and, in my humble opinion, a far superior ) rifle compared to the AR-15/M-16 family. The AR-18 was originally designed as a second-generation weapon to sddress the shortcomings of the first-generation AR-15/M-16 in both manufacturing and end-user terms. In short, the AR-18 was the gun the M-16 was supposed to be. For example, the former incorporated a short-stroke piston-operated gas system that was much more reliable and maintenance-free than the notorious direct-impingement gas system of the latter. Also, the receiver was made of stamped steel rather than lightweight cast and machined aluminum, which not only lowered potential production costs but also provided a stronger and more durable receiver platform. It is most unfortunate that the AR-18 fell by the wayside mostly because of a combination of bad market timing, pre-disposed attitudes and perceptions on the part of the client evaluation and selection committees, and logistical and supply train inertia brought about by pre-committed contractual obligations. The early AR-18 was subject to several minor but annoying glitches, typical of any prototype design ( eg., the original folding buttstock was a little loose and insufficiently rigid when deployed in the extended position, and sand or mud ingestion tended to cause the rifle to FTF or FTE ), and by the time they were successfully addressed, the primary intended customer, the U.S. Army, had lost all interest in an alternative 5.56mm weapons system to the M-16. The rest, as they say, is history. The VZ58 is something I’ve yet to lay my hands on. Allsop, popelinsky et al “Brassey’s essential guide to military small arms” (appears to be mostly translated from Czech, and it was getting very very expensive on Amazon last time I looked( around £1k+)) draws heavily on Czech examples to illustrate principals. Dirt just gets pushed out, rather than getting trapped in locking recesses. on the subject of “Slide hammers” the VZ58 even has a linear striker. It’s pretty difficult to think of a locking system capable of playing more tunes than the VZ 58’s. Good to hear from you, as always! Your assessment of the vz.58’s mechanical functions is spot-on. I happen to own two vz.58’s, and they are absolutely marvelous rifles. The striker-fired feature is almost unique to a modern assault rifle, and contributes to the vz.58’s legendary reliability and durability. The ejection port is enormous, virtually ensuring that no ejected cartridge could possibly become hung up under any circumstances, yet seals very tightly with the bolt/bolt carrier in the forward position to prevent ingestion of debris. We are very fortunate here in the United States to be able to openly purchase ( without special class licences ) versions of the vz.58 manufactured by Czech Small Arms ( formerly D-Technik ) in the Czech Republic to incredibly high quality standards. These guns are identical to the original military vz.58’s in every respect except that they incorporate modified lower receivers ( still made to high-end military specifications ) with only a semi-automatic capability. Some parts in the trigger mechanism and 30-round magazines ( eg., floorplates and followers ) are U.S.-made to conform to firearms import rules imposed by the BATFE. Other than that, they are identical to the selective-fire military-issue guns. It should be noted that the CSA/D-Technik vz.58’s differ considerably from the Century International Arms vz.858/vz.2008 builds, which are partially made up from surplus vz.58 kits of varying quality with American-made receivers and numerous other parts added to the mixture, and which are often marketed as “vz.58’s”. While the Century weapons still work very well by any standards ( and at a relatively low cost ), they are certainly not the equivalent of the CSA/D-Technik vz.58’s. I am not sure what the governing laws in the United Kingdom would allow insofar as obtaining a vz.58 is concerned, whether it be a semi-automatic or selective-fire version. Perhaps you could enlighten the rest of us regarding this subject? With regard to the AR-18/AR-180 5.56mm rifles, I do know that they enjoyed wider acceptance in the European and Asian markets than in the U.S., and I would certainly like to hear your opinions on this. Unfortunately all centre fire semi auto and pump action rifles(including pistol calibre carbines) and all breech loading handguns are banned on the mainland (1988 and 1998 respectively). I think pistols are still legal in Northern Ireland and they were for a short while in the Republic of Ireland too. The self governing islands such as the Isle of Man, and Jersey,Guernsey and Sark, I think are less restrictive. compare and contrast that with the timelines for falling violent crime rates and the spread of shall issue and unregulated concealed and open carry in the US. People like thee and me, who are open about their interest and have spent a lifetime being conscientious law abiders – well, let’s just say “Registration leads to confiscation” always has, always will, everywhere and every time, regardless of what some old bit of parchment might say in black and white. Interestingly, the ban doesn’t mean that we don’t see ARs, they just have to be built from new as straight pull bolt actions. If something has ever been semi auto or selective fire, that is what the law classifies it as, until it is butchered to deactivate it – lots of cutting, grinding and welding. I think the Republic of Ireland may still allow semi autos to be converted to straight pull, rather than having to be made from new that way. The other option (which really keen pistol shots took) is to keep the guns in Belgium, the US, Switzerland, or A N Other country which is less oppressive towards legally held guns. The Sterling Arms semi auto version of the AR 18; the AR 180 was quite heavily advertised and I remember it being favourably reviewed in Colin Greenwood’s “Guns Review” magazine. As a naive youth, I think my view was coloured by books by the likes of Smith and Ian V Hogg, who seemed to stress that the AR 18 was a “cheapened” AR 15, rather than an evolutionary progression, by the people who really understood the gun. I also had the feeling that the US military service rifle was the “real deal”, the 18 must be for tin pot dictatorships. With hindsight (I won’t try to claim maturity!) the idea of having the bolt carrier ride on rods, so that dirt and dents in the receiver won’t affect it, and of having a short stroke piston, keeping the hot gas (and water vapour) where it belongs, well away from cams and springs and with as short a path as possible from the bore, made even more sense. The ball joint between the piston and piston rod in the 18 is a particular stroke of genius, allowing the piston to align itself regardless of any bowing of the light weight piston rod. In a very confused way, if the AR18 was designed so it could be manufactured in the third world, then Britain’s SA80 and its LMG version (“light Support Weapon”) were the logical conclusion – Royal Ordnance effed them up completely. At the time of the first gulf war, Jan Stevenson’s “Handgunner” magazine published a piece titled “Service Rifle SNAFU” listing its many failings. The Magazine disappeared for several montyhs after that – it turns out that the bureaucracy was very upset that Stevenson had published secret information (that the rifle was an embarrassing POS). I don’t have any direct knowledge of the Singaporean or the Japanese Howa AR18s or their derivatives, though the Singaporean work on minimising the disturbance from the recoil impulse looks very interesting. I don’t think anyone could seriously consider Japan or Singapore as being “third world” (Britain isn’t either – it’s at the other side of “third world” to Japan and Singapore), both were very keen on the AR18, yet the “cheap” equals “not as good” meme continues. Looked at from a slightly different angle, it could equally be said that the AR18 provides a superior product while consuming fewer scarce resources, such as skilled labour hours, complex forgings and precision machine time. CZ was one of the first to use investment casting for critical parts (just about everything on my ZKK and ZKM rifles – apart from springs and stocks, is investment cast; bolts, mauser ’98 style extractors, receivers), CZ and BSA were both way ahead of Ruger. I may be completely wrong, but I’d guess that almost all of the VZ58 action could be machined from castings, although the large area of the receiver would be a pig for showing up any surface porosity after finish grinding. It would be interesting to hear from any CZ insiders on the manufacturing methods. Earl, Sa-58 (aka Samopal vz.58) has not a tilting block – it’s tilting wedge, quite like the Walther P-38 or Beretta 92. Leszek, you’re right. Another typographical mistake on my part from writing too fast and too late after a very long day at work :). Thanks for bringing it up. latter being earlier of the former. action rifles to auto loading. 1. Work on intermediate-cartridge assault rifle was commenced in USSR as early as late 1943, with first Sudaev AS-44 prototypes tested in 1944. 3. until 1947, when it was decided to manufacture pilot batches of AK for troop trials, Kalashnikov worked very far from Izhevsk, first in Army small arms proving range in Shurovo (near Moscow) and later in Kovrov. Both locations are quite far from Izhevsk. 4. So far only information about Shmeisser’s presence in Izhevsk is a small report that I’ve read a while ago, which complains about his uselessness and tendency to drink vodka whenever possible. I cannot find source for this right now, unfortunately. On the other hand, I’ve seen copies of drawings of simplified MGs with Barniztke signature, dated 1946 or 1947. Under the circumstances, the two of them would probably have hatched some sort of deviltry that would have resulted in an outstanding weapons system or two, to say the least ; the results might have changed the course of modern history as we know it:)— tongue-in-cheek comment, of course :)! Thank you, I haven’t seen such an insightful and enlightened approach to this much-contested topic anywhere! This is truly a salon for gun scholars. May I mention the Geco M 35? Re: Remington DNA, Kalshnikov was told to study as many firearms as he could. I forget who told him, it was one of the other big names like Degtyarev or Simonov iirc, but the point is that he did. It is likely that he came across the Remington. This is an extremely valuable contribution — maybe the best post I’ve seen here! That includes the comments from Max and others. Earl, no AR-15 was ever made with cast receivers. They were always forgings. Now, schlock cloners have used cast parts. Casting aluminum is a deep art — you can learn to do it in a weekend, but you can take a lifetime to learn to do it right. But even the best cast part will not be as strong as a forging. (Normally different alloys are best for the two processes, also). The Vz 58 is an excellent weapon. One difference between the D-Technik / Czechpoint (whatever) and issue gun was barrel length — issue weapon is a hair short of US legal, can’t remember exactly but it’s around 15.7″. Vz 58 mags do not interchange with AK, although they’re conceptually similar. Full auto Vz. 58 has a last-round hold-open, not sure if the semis do. This is a feature that has real combat utility (even then, I still put tracers in the bottoms of my warshot mags to warn me a change is coming). The former Hapsburg provinces of Bohemia and Moravia were Austria-Hungary’s armory. Even during the Warsaw Pact period, which was pretty miserable for Czechs, they took a great deal of pride in their home weapons design and production. They were extremely dismissive of Russian efforts. For example, it was an article of faith among Czechs that the MiGs produced in the Aero Vodochody factory were so much better built than Russian ones that the Russians took them and fobbed Russian-made ones off on the CSSR AF. This may not be the truth, but I spoke to scores of Czechs and Slovaks who believed it. (I must say, my impression of Russian-made MiGs compared to Chinese or European satellite copies is that the Russians really needed a visit from W. Edwards Deming. The Chinese would put the rivets where the drawing said… the Russians would put the rivets somewhere in the airplane. Vodka may have been involved. Back to the Czechs, like the common dismissal of the Vz 58 as n AK clone, which it isn’t, the Vz 52 and more common 52/57 rifle is often called a G43 knockoff. Nope. Worth checking (no pun intended) out. Also the light machine gun of the same model years (the 52 used a Czech 7.62 x 45mm cartridge, the 52/57 was the 7.62 x 39 version) is a little jewel of a weapon. Very rare in the USA. Yes, the semi vz58s have a last-round holdopen. I haven’t looked at it closely, but I believe the vz52 light machine gun is a development of the Bren (which would make sense, given the Czech origins of the Bren). It’s not only that Bren was also Czechoslovak (not just Czech) – the LK vz.52 and ZB-26 had common father: Vaclav Holek. Vaclav Holek is also the father of the StG 44. Hugo Schmeiser has copied the ZB -26 and just flip it upside down. Thanks for the reminder about the AR-15 having forged and machined aluminum receivers. I had a momentary mental lapse in marshaling my thoughts when typing too fast. My apologies to all concerned — I knew better and should have checked before posting. Yes, the semi-automatic vz.58’s do have the last-round bolt hold-open as a standard feature, and the magazines are proprietary ( as are most gun manufacturers’ magazines ), so they don’t interchange with AK magazines. The actual length of the CSA/D-Technik vz.58’s chrome-lined barrel is about 15.7″, precisely the same as the military original. In fact, it is the same exact Czech-made mil-spec barrel ( new, unfired military surplus, or very lightly used mint condition military surplus ). To meet BATFE requirements, a short muzzle extension is fitted to the threaded end of the barrel and TIG-welded in place to bring the nominal barrel length over the 16″ legal limit. The extension can be removed with careful gunsmithing and replaced with any one of a number of available muzzle brakes, including the CZ military-specified version, but it must be welded in place as well to effectively become a permanently-attached part of the barrel, and total barrel length must be 16″ or over. From a legal standpoint, please keep in mind that if you do choose to install a muzzle brake, you would be illegally in possession of an SBR during the time period when the muzzle extension is off the barrel end and before the brake is installed, unless you have the appropriate BATF licencing. For that reason, it is best to avoid unnecessary legal complications and simply send the weapon to the distributors ( Czechpoint-USA ) for the modification. One other thing is that the CSA/D-Technik rifles imported into the United States come with a magwell machined into the new semi-automatic receiver ( milled from a solid steel forging ) which is designed to accept a single-row 10-round magazine of Czech manufacture. The magwells are then re-machined to take the standard 30-round military-issue magazines by a gunsmith appointed by the US distributors, Czechpoint-USA, Inc. of Knoxville, TN. The quality of the workmanship, fit and finish is outstanding, and I have never come across reports of problems in this area, mechanical or functional. Occasional issues with this and other aspects of US-market vz.58’s are primarily related to the lower-grade Century clones, not the CSA/D-Technik guns. The Remington Model 8 was produced in large numbers and for many years beginning in 1908. It was the first successful semi-auto rifle powerful enough for hunting large game, in .35 Remington. Hunting during the Czarist Pre-Revolution era was hugely popular among those who could afford it and many Model 8s were sold all over Russia. In addition, given the importance of Browning designs, any developer would seek out examples of all his design in all their forms. Given this, certainly the AK designers were aware of the Model 8. FYI, Michael Killebrew at 50AE.net does a comprehensive and very well-documented mechanical comparison of the vz.58 and AK-47, complete with several macro-photographic perspectives, that help to illustrate the point. It is entitled “An Illustrative Comparison Of The VZ-58 And AK-47”. He also has a similar technical comparison of the detail differences between the FN FAL and L1A1 rifles on his website. Keith, thanks so much for the kind comments and for the wealth of additional information in answer to my questions about UK gun laws and the AR-18 saga. You have definitely helped to clarify quite a lot of interesting inside information on what happened with the latter. Although I certainly do not consider myself as qualified to speak on behalf of the other members of this website, I don’t think I’m too far off the mark in saying that your contributions and vast knowledge of firearms is much appreciated by all concerned. On another note, perhaps it is I who should be ( graciously ) jealous of the fact that you own Czech-made ZKK and ZKM rifles :). 1. http://www.czechpoint-usa.com — Czechpoint are the sole U.S. distributors for the CSA/D-Technik vz.58’s, which are now available in both the original-spec 7.62mm x 39 chambering and in 5.56mm x 45, the latter having been introduced to cater specifically to those who might prefer the smaller round. Vz.58’s are also made in several different configurations, including standard assault rifle, paratrooper, sporter, California-restricted and SBR (“pistol”) versions. Czechpoint also supplies civilianized ( semi-automatic ) vz.61 Skorpion SMG’s (“pistols”) as well as vz.52 pistols and CSA-manufactured revolvers of various calibres bearing the Czechpoint name. The latter are not only quite interesting but also constitute very good, high-quality firearms at a reasonable price. Of equal interest are the firing-range demonstration videos for the vz.58 and vz.61, which feature some outstanding slow-motion and time-lapse photography. There are brief historical notes on the developmental highlights of Czechoslovakian small arms, and interesting information about the vz.58’s immediate predecessors, the vz.515, vz.522 and Sa-56 rifles ( under “History Of The Sa vz.58” under the “Rifles” section. A synopsis of the relevant historical context and the role played by Ing. Jiri Cermak, designer of the vz.58, is also included. 2. http://www.csa.co.cz — This is the CSA website that provides information on their available product lines and distributors throughout the world. There is some useful insight into their manufacturing base and technology, and the same excellent live-firing demonstration videos as shown on the Czechpoint website are available for viewing. CSA-proprietary firearms patents are also listed. so thanks Ian for expanding that thread and doing a deeper analysis. In the end, its always the producion method and cost to quality ratio that significantly dictates the sucessfullness of the gun, especially in main assaualt rifle business. Sometimes even (or rather to say; always), more expensive weapons ends up worse because they are, beside using superior materials and production methods, too complicated in their nature to be reliable and user friendly for common soldier. And ultimately to say, in this industrial era the economy wins the war, more than the soldiers (who could albeit be very good at winning some battles but not the war) Just look upon Japanese in ww2, their unbreakable bushido warrior spirit and their catastrophically small industry (compared to USA, Germany, USSR) which produced strange weapons in small numbers – talking about making almost 2 meter long rifles and submachine guns for millions of men army in total number of few thousands ! So, you better spend time to construct (rather) complex machines to design a cheap, simple part, than to use simple machines (like lathes, milling machines etc.) to make lots of explensive and complicated parts to be fitted in the gun. This raises a point I’ve been arguing for years. I’ll accept that the Russians surrounding Kalishnikov designed the AK-47 without significant input from the Germans who’d been collected up and shipped East. There are enough differences between the StG-series of weapons and the AK to make that easily believable. What I won’t accept is that the Russians were foolish enough to go to the trouble of collecting up those German industrial design experts, ship them and their equipment/offices east, set them up in Russian factories right alongside Russian engineers, and then… Fail use them for anything significant at all. Stalin and Beria would have gotten wind of that, and heads would have literally rolled over the waste. Those German experts were doing something in Russia, and I can’t bring myself to believe that the Russians would have had the world’s experts on stamping out sheet-metal weapons, and then not used them to facilitate the conversion of the AK-47 from prototype to production design. My guess is that the Germans were fully involved in that process. Designing a weapon that works is only a part of the problem; the most important issue is taking that design to production. You can see the implications with regards to the US M14: Before TRW came on board and totally redesigned the production machinery, Winchester and the other companies were trying desperately to make things work on old M1 Garand machinery. It’s a systemic issue, and industrial-scale production is an entire separate art from weapons design. My contention is that this is probably what the Germans were doing with regards to the AK. 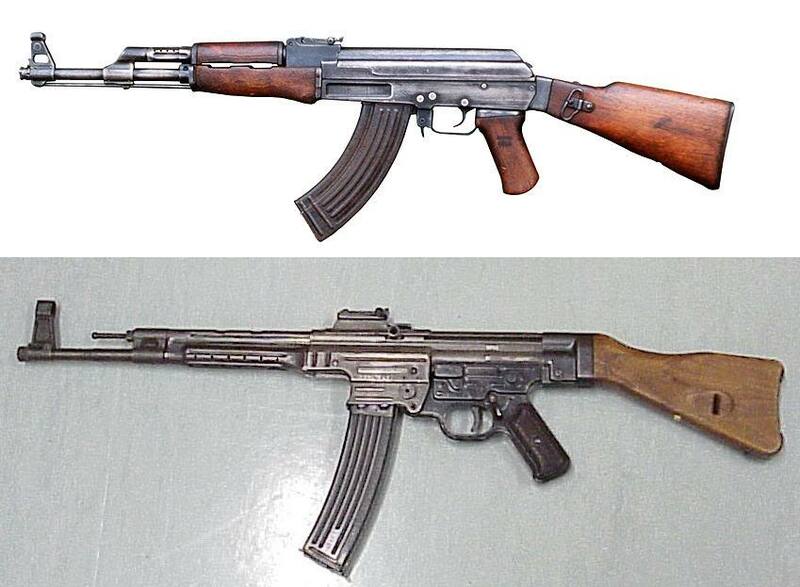 It’s also interesting to note that the initial stamped version of the AK went away as soon as those German experts left, and a machined version supplanted it, only to be replaced in turn by another iteration of a stamped version, once the Russians mastered that sort of production. Of course, it’s entirely possible that the Germans were kept doing make-work, like set up a back-up production line for the StG in Russia. I find that somewhat hard to believe, given how thoroughly such resources were exploited in the aerospace realm. The Russians are not fools, and I refuse to accept that they’d have gone to the trouble of collecting up and shipping East all those German experts, and then not utilized them in a productive manner. A very good and logical analysis, Kirk. The Russians are outstanding engineers, technicians and designers by any standards and only an arrogant fool would underestimate them. They have managed to come up with countless world-beating designs in aviation, naval architecture, firearms, and numerous other endeavours in spite of the restrictions of the various systems within which they have had to work, constant budgetary problems, and a long-term stigma of stealing ideas from the other side. The latter is only partially true and stems mainly from the near-impossible constrictions placed upon them by the other factors mentioned beforehand. This same set of limitations at all levels of Russian life, from the political and economic arenas down, has produced the sort of end result that Kevin O’Brien had mentioned earlier, eg., early MiG fighters where erratic placement of flush-mounted skin rivets marred what was otherwise an excellent airframe equal to the best contemporary Western equivalents. Another specific example of the lack of follow-through and proper finishing compromising a promising basic design can be seen in the MiG-15, which came as such a shock to the Western world during the Korean War. Mig-15’s were grudgingly acknowledged as being able to outclimb and generally outperform the F-86 Sabres they faced across the Yalu River, yet the Sabres were able to amass a 12:1 kill ratio against their opponents. While part of this can be attributed to better pilot skills and tactics, it does not explain the entire story. A salient factor that is overlooked by most in the MiG versus Sabre controversy is the time and effort expended by North American Aviation ( manufacturers of the Sabre ) in the fine points of flight control response and feedback. The Sabre had notably responsive and quick-reacting controls with excellent stick feedback that told the pilot at all times what the airplane was doing, and it was remarkably easy to push to the edge of the performance envelope while still remaining a forgiving platform. The MiG-15 actually had superior performance in many aspects of the flight envelope, but the pilot could not capitalize on these advantages in a dogfight because of the transitional lags between one aspect of air combat maneuvering and another. To put it simply in a specific example, the Mig-15 might have a tighter ultimate turning radius than the Sabre at a given combat altitude, but the latter’s better control response enabled it to initiate the turn sooner and also enabled it to change flight attitude into another maneuver more quickly. In the end, the Sabre dominated the MiG ( all else being equal ) by being a better-balanced and more responsive all-around fighter. One wonders what might have happened if the MiG-15 had been properly finished with refined and responsive flight controls like the Sabre. It wasn’t just the flight controls. The F-86 had a gunsight radar and carried more fuel. The MiG-15 was more of an interceptor and was not a stable gun platform in a turning fight. Because they were not officially involved, MiGs flown by Soviet pilots were restricted on where they could fly. Pursuing Sabres South was not an option. I agree that these were also very important factors, which is why I included the caveat “all else being equal” in my comments when writing about the differences in pilot-friendly control response and feedback as one specific example I wanted to highlight out of many that made the F-86 a better-balanced and more well-rounded fighter. Reminds me somewhat of the Spitfire Mark 1 versus Messerschmitt Bf109E in the Battle Of Britain, where similar time-over-target restrictions applied to the latter due to the extended flight time from bases in France and limited fuel capacity. The constant meddling by Hitler and Goering in strategic and tactical air planning also tied the Luftflotte commanders’ hands to a large extent. There are certain parallels here. In chuck Yeager’s autobiography (it’s about 20 years since I read it) those points were well illustrated. Yeager got to test fly a Mig 15 (can’t remember whether the pilot had defected by flying south or over to Japan, I think Japan). The defector’s briefing of Yeager, said, if you get into a spin, put the stick to the broad white strip he’d painted on the control panel, and if you haven’t recovered after 2 1/2 revolutions; eject! Also, do not under any circumstances risk a stall. Yeager did experiment with the stall, six inches above the tarmac, and he said the first indication was when the wheels hit the ground, hard. There was no buffetting, no twitching or pressure from the stick, no slight nose drop, it just banged down hard onto the runway. With such unforgiving characteristics, it would be very foolhardy to fly anywhere near to the limits. Flying to Japan was a much safer option. Apparently the Messerschmidt ME109 was often close to a high speed stall in combat maneuvers, and no one ever bothered to add a trim tab to the rudder, so at high speed, the pilot was tiring himself out using all of his leg strength on the rudder, countering engine and prop torque. Though the ultimate failing of the ME109 was its small airframe – too small for heavier cannon larger fuel tanks and a cockpit which cramped up and tired out the pilot. I wonder whether some of the Germans who were responsible for the shortcomings of the ME109, did the same things to the Mig 15? Yet during the war Soviet pilots complained how much more automated the German planes were, especially engine management. This disregard for ergonomics persisted ever since. Apparently these tests provided a lot of input into the design of MiG-29 and Su-25 flight controls. Also, at the time they were preparing instructions for Somalis on tactics against the F-5. The instructions were changed to “avoid close combat, use slashing attacks only”. The Soviet defense sector was no monolith. There was plenty of inefficiency and infighting. I am inclined to believe that the Germans were underutilized. What in a free market would have been beneficial competition (beneficial for the customers) becomes spiteful jostling for the favour of the central planner. I am not quite sure when this “competition” was worse; during Stalin’s rule or after. 1980s… Three MBTs, which looked identical on the outside, yet had no interchangeable parts, save for the main gun. Two SSBNs classes. Two (or three?) SSN classes. So things were more “diverse” after Stalin. On the upside, losing the political competition now meant losing only your contracts, not your life. OTOH, Chertok in his memoirs hints that had Stalin lived for another 10 years, the Soviet Union would have been the first to the moon. According to him, Beria had a saying, that any two communists can come to agreement after 20 minutes in the same room. If not, then one of them is not a communist. Err, gentlemen, is this a Forgotten Aircraft site, or Forgotten Weapons one? Could we stick to our guns now, that we are finally convinced that Russians were not cheap copycats? Good reminder, Leszek :). Let’s keep this thread going if we can — it has really stirred up a lot of interest and many valuable contributions. I am surprised that nobody has yet mentioned the recent and terrific book on the AK-47, The Gun by C.J. Chivers. Chivers is a war correspondent for the NT Times, and is always in the hotspots, Syria these days. He did intensive research into the history of the AK-47, and its relationship to the STG-44. The book is unbiased, unlike day job employer. Chivers concludes that there was such secrecy surrounding Soviet arms manufacturing during the Cold War, that certainly any accepted story, such as Kalishnikov designing the gun while recuperating from wounds,is pure mythology. In fact, he says it is now perhaps impossible to really find out what Schmeisser and the other Germans did in Russia. He also thinks that Kalishnikov, or anybody else in Russia whose job it is to talk to the press, does not even know the truth himself, much less be permitted to tell it. Chivers thinks Kalishnikov himself has bought into the big lie of Soviet genius and innovation, and that’s why he was promoted from Sergent to General. His job is to make friends, sell guns, drink vodka with customers, and not to correct history. I wonder if anybody in the Russia is trying to research all the mysteries of Soviet arms making. There are stories to tell, but nobody to tell them. By the way, the reason I mentioned that Chivers works for the NY Times, is that the NY Times is gone on a rampage since the tragedy in Connecticut, and has articles and editorials every day on how evil Assault Rifles are. The low point this week was a large photo of an AR-15, pointing to all its evil and dangerous features: folding stock, flash hider, bayonet long and separate hand grip. They also mentioned the 30 round mag, as one of the equally dangerous features. People actually believe this stuff, after all, the NY Times says so. Michael, thanks for reminding us all about C.J. Chivers. 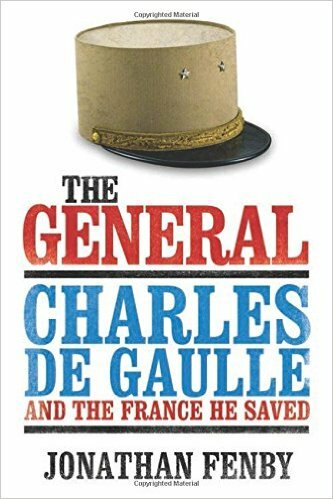 He really is one of the last of the great war correspondents in that he makes it a point to become closely and intimately involved in both sides of a conflict, even at considerable personal risk, in order to try and present as balanced a viewpoint as is humanly possible. I had the privilege of listening to a detailed interview he gave to Terry Gross on National Public Radio’s “Fresh Air” about “The Gun” (AK-47) — and its incredibly widespread global impact on the political, historical and socio-economic strata of so many nations large and small — sometime ago, and I was impressed with how both he and Terry Gross managed to keep the topic factual and largely on track. Certainly a contrast to the reactive (though understandable) outcry we have witnessed in recent days that tend to focus on and vilify the wrong subject. The AK seems to clearly show some DNA from the Garand, though I agree that to call it a “ripoff” of the American design is a gross oversimplification. One of the weapons on display in the GERMAN PROTOTYPE category was one that looked very much like a AK prototype. Now that I read this article in more closely resembles the AK-46. But I do know we all commented that it looked like the AK. The 7.62×39 mm cartridge was obtained by the Russians from Walther through industrial espionage. I really do not think that a Russian tank commander sketched out the design while on R&R. Victor — Kalashnikov was never credited (by the Soviets or himself) with developing the 7.62x39mm M43 cartridge — he was told to design a rifle to use it (it was already adopted as a primary military round – the RPD was adopted in 1944 and the SKS in 1945). And yes, best evidence indicates the Russians did steal the concept of the 7.92x33mm Kurz round before 1943 (cartridge was developed by 1938, back when Hitler and Stalin were still buddies; likely the Russians had samples in hand before the outbreak of the war). Since we’re talking about the Avtomat Kalashnikov… what about the very first Avtomat, the Avtomat Federov? It should be called the AF-15. Автомат Фёдоров. Well, I do have some video of a Federov being disassembled. Haven’t gotten to shoot one yet, though. Not sure if anybody mentioned it,(did not read every post)But I do not think the 4th picture down labeled “Production Type 1” is in fact a production type 1. I believe it is a late in R&D prototype. If you google image AK-47 Type 1 and compare pictures you will notice that they are much more AK-47/AKMish while the picture you have is much more prototypish. Here we go again with this BS. Kalashnikov did NOT admit to any help from Schmeisser or other Germans. These are pure lies circulated and restated all over the internet without any sources. And now it has made its way into forgotten weapons website. Congratulations to the author of this article. Of course not. His entire life was propped up on the lie… To admit it, would be take food from his own mouth. So why there’s no picture of a disassembled StG-44 in the article ? Oh, but of course, if there was such a picture here then it would be obvious how different the internal structure of both weapons is. Which would contradict the whole point of the article, right ? Like one commentator said, vodka might have been involved. Maybe in another 500 years the Westerners would shake off the cold-war propaganda and start looking around with more objective eyes. Hi, the post seems quite resourceful and I must thank you for the efforts. However, I’m wondering if you could offer some details about the StG-44, you could explain it more. My uncle has used AK-47. For washing this weapon, he used MTM GV-30 Gun Vise. It was really outstanding for use that I’ve seen, till now he is using this rifle.